The spacious lobby of Ivan is a setting designed to accommodate both business and leisure. Filled with greenery and fresh air, it feels more like an outdoor retreat than an interior space. 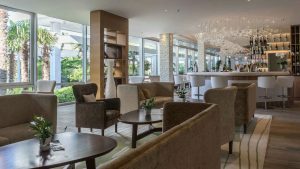 Meanwhile, the classic and elegant lobby bar serves double duty as an executive lounge for business travellers – a place to meet colleagues or clients, or to relax a bit after a conference. The adjoining terrace offers an inviting space for impromptu meetings as well as for more leisurely gatherings. 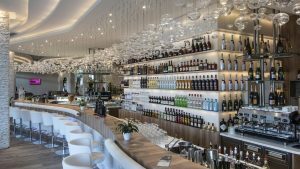 Visit our glam aperitif bar to enjoy fine Croatian wines, spirits from around the world and evening performances of live music.